Simply defined, a rockery is a rock garden. A familiar garden concept, a rockery may seem uncomplicated, but is actually one of the most intricate of landscaping designs. Without proper planning, rocks and plants appear disjointed and unappealing. The best design uses these two elements and works them together as if nature had a hand in the process. Rocks of the same type are solidly set into the contours of gritty, well-drained soil. Choose the right plants and they'll do the rest. 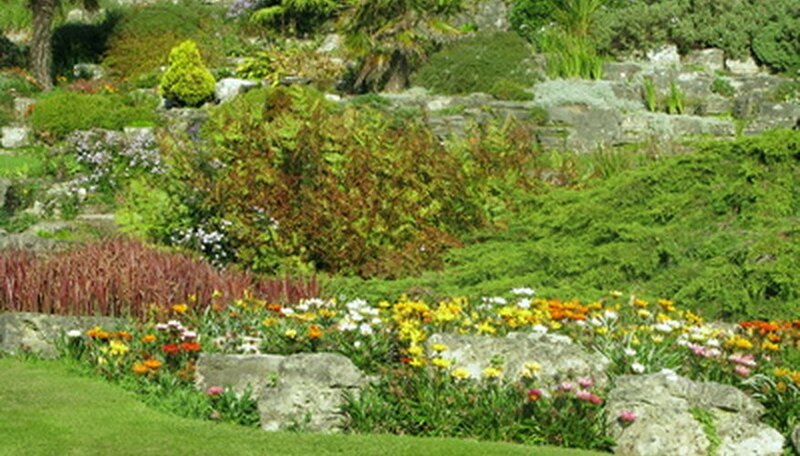 A rockery is traditionally an alpine garden. Alpine plants thrive in the gritty rockery soil and are often quite small with delicate foliage and flowers. A site in the full sun is necessary for these plants to show their best. The rocks used in an alpine rockery should look naturally random without overwhelming the plants. 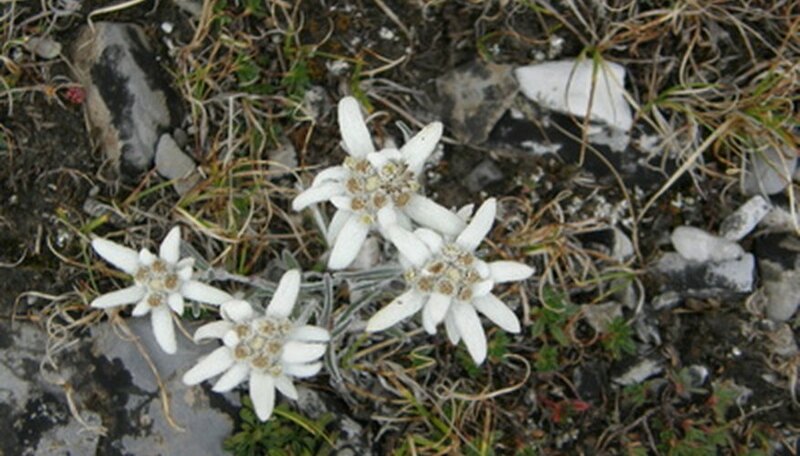 Try an alpine snow-in-summer (Cerastium alpinus), Draba (a yellow re-blooming ground cover) and, of course, the Edelweiss (Leontpodium). Try a rockery of succulents. Low-growing sedum types and hens and chicks (Sempervivum) are ideal for the sunny rockery and are suited to the well-drained soil. These plants creep between the rocks and intermingle easily. In addition to a varied palette of foliage texture and color, sedums also flower in pinks, reds, yellows and white. Sempervivums bloom, but the mother plant dies after flowering, so it may be best to cut off the flowers. Heaths and heather are versatile plants for the sunny rockery. You can intersperse them with other plants, but consider devoting the site solely to heaths and heathers. Foliage colors differ as do flowering times and the flower colors themselves. 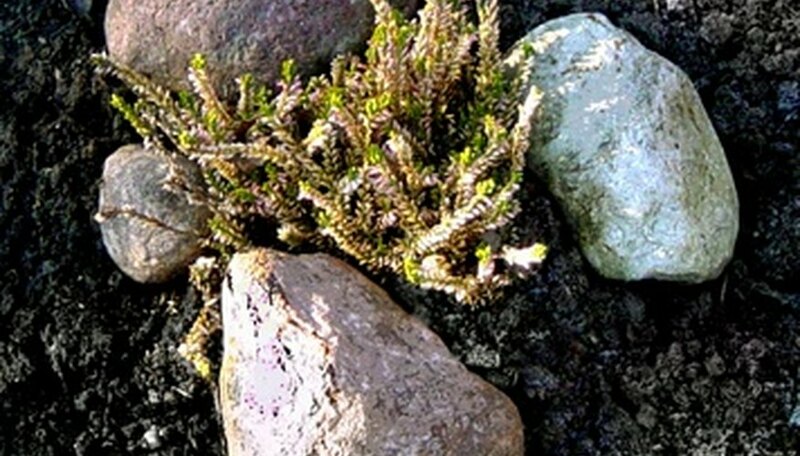 For example, a heath or heather with chartreuse foliage lends interest to your rockery even when it's not in flower. A shady site has rockery possibilities. 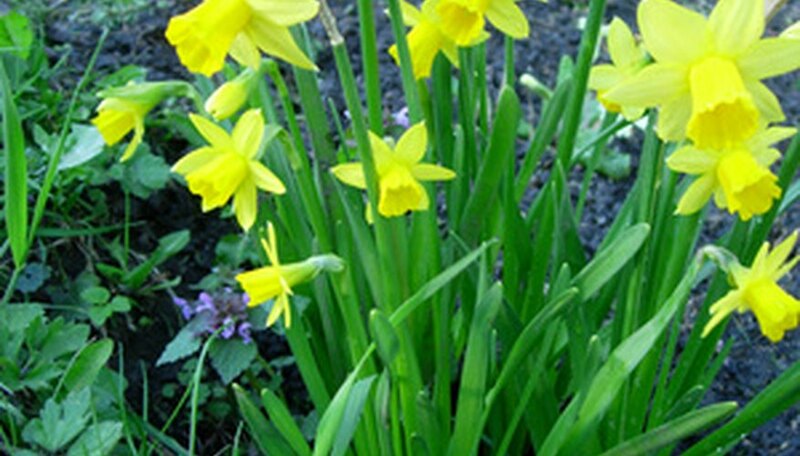 Under a canopy of deciduous trees, use spring bulbs and ephemeral plants that go dormant when the weather gets warm, but bask in the sun while flowering. Daffodils are a familiar spring transient, but try shooting star (Dodecathon) or the white-flowered bunchberry (Cornus canadensis). Mix in ferns and the small-leaved patridgeberry (Mitchella repens), an evergreen ground cover. Rockeries might be created for alpine plants, but non-alpine plants fit this environment as well. Rocks won't overwhelm these larger plants as much. "Tiny Rubies," a ground-hugging red dianthus; the rock cresses (Arabis and Aubretia); and candy tuft (Iberis) are all good choices, but there are many others. Sunny Border Nurseries, a wholesale grower in Connecticut, devotes a section of their 2010 catalog to rock garden and alpine plants. Some rockeries incorporate water into the landscape. Geoff Bryant, writing for the website Country, Farm and Garden, recommends installing a water feature after the rockery is built. Rainwater will flow through the rockery, pinpointing the exact spot for a pond or stream. If you haven't the yard space or the time to create a rockery, try making one in microcosm. Trough gardens are the perfect way to enjoy a rockery without the excavation. Troughs are made of a cement mixture and come in many shapes. They are filled with well-drained, gritty soil perfect for rockery plants. Plants can be as varied as in any rockery, just in smaller numbers. Janet Belding has been writing for over 22 years. She has had nonfiction pieces published in "The Boston Globe," "The Cape Cod Times" and other local publications. She is a writer for the guidebook "Cape Cod Pride Pages." Her fiction has been published in "Glimmer Train Stories." She has a degree in English from the University of Vermont.